Warmer weather has arrived, which means school will soon be coming to a close. What will you do to exercise some energy out of your children so they sleep at night? Playground it is! 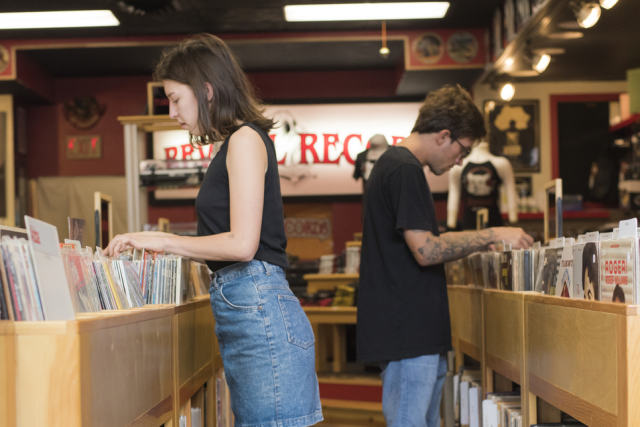 You’re in luck too; Eau Claire has a lot to choose from, and each one is special in its own right. But which ones are the best? 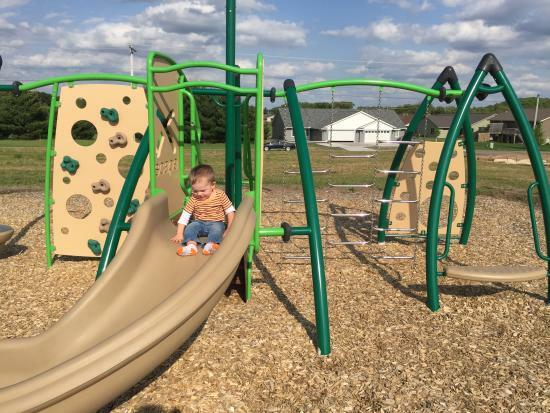 I asked and explored some of these local playgrounds, and came up with this list highlighting some of the best playgrounds in Eau Claire. Putnam is by far one of the best playgrounds in Eau Claire. 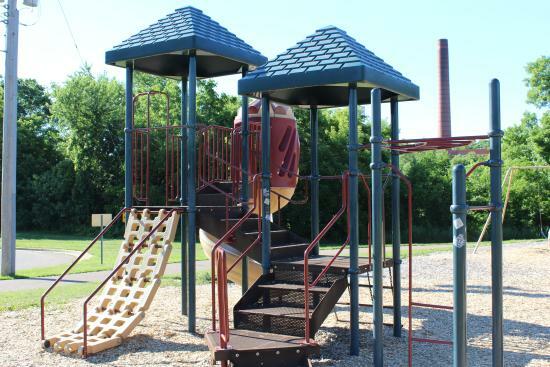 It has older playground equipment, as well as newer, handicap accessible equipment for your kiddos to choose from. 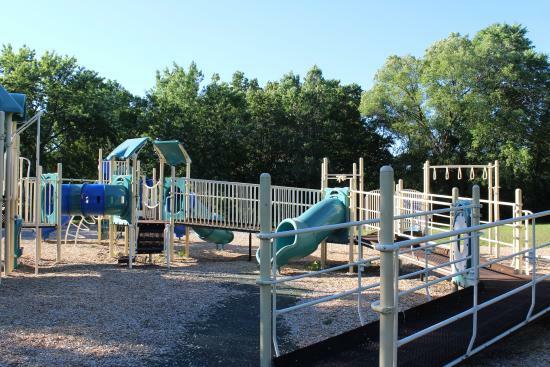 In addition to being handicap accessible, the newer playground is full of fun and unique activities to keep your little ones entertained. Kids especially love the giant teeter-totter and spinner. This playground also has a rubber mat instead of wood chips underneath, making it softer for your little ones to play (or fall) on. Keep in mind, Putnam is a school playground, so it’s only available when school is not in session. Other Things You Will Find Here: Outdoor music equipment, basketball hoops, a soccer field, swings (with two handicap accessible swings!) and a small area to play tag on. Perfect for: Kids of all ages! Toddlers can crawl or wobble up and down the handicap accessible ramps, with a parents supervision, and they have multiple size slides and climbing areas. If you live in Eau Claire, you’ve got to love Carson Park! This playground is huge, allowing many kids to enjoy the fun playground at once. It has two giant slides kids love, and the stair climb wears out the little ones. There is a bathroom and drinking fountain very close to the playground, which comes in handy for those “emergency” situations! 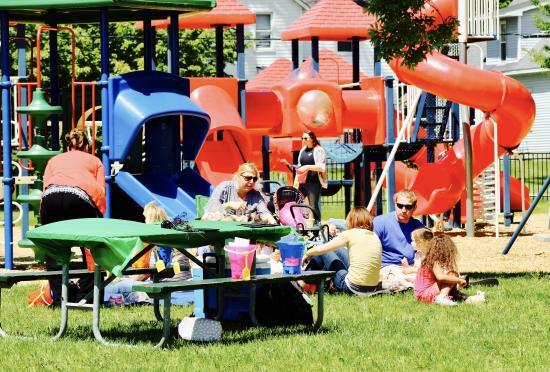 With plenty of picnic tables, benches and stretches of grass around, families can hang out, enjoy a picnic and watch their kids enjoy the playground. 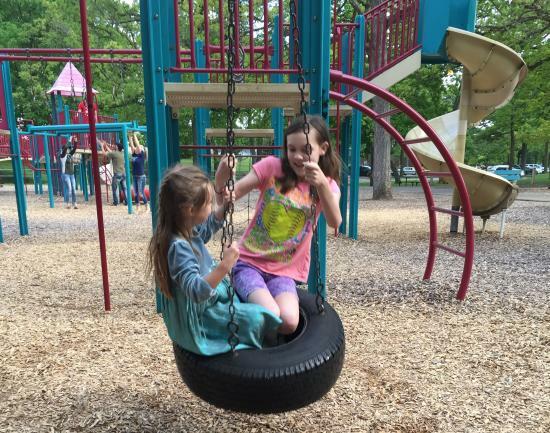 Children especially love the tire swing Carson Park has to offer. Known for its natural setting, with plenty of trees and a body of water all around the park, families are provided ample opportunities to explore nature. 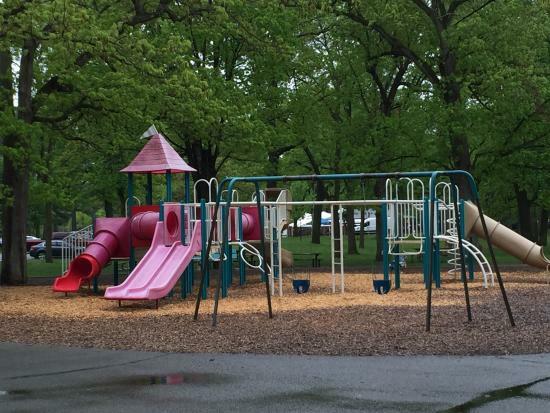 Because it&apos;s amazing, Carson Park is almost always super busy, so for those of you who want to enjoy the natural settings of Carson Park with a little less crowd, they have a smaller playground at the lower level as well! Great For: Kids who can play on their own for the most part. This park does not have a toddler area, and most of the equipment requires climbing and can be quite high. This playground is not handicap accessible. 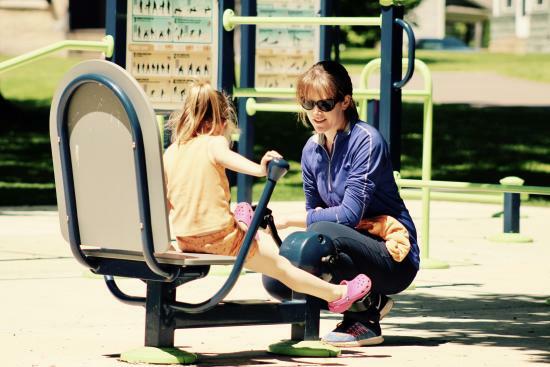 Owen Park creates a fun environment for kids and parents with its work out area. 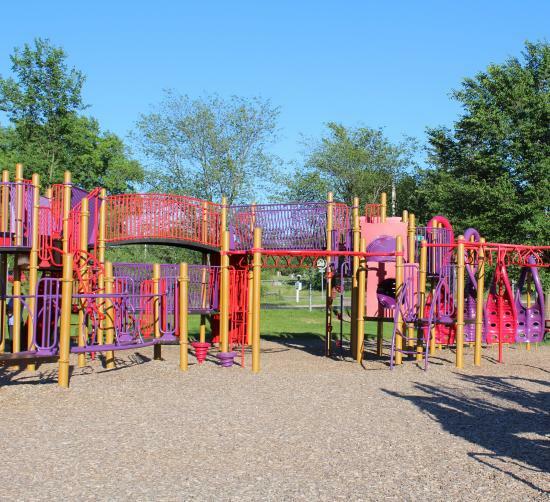 Located just behind the playground, this area provides older kids and adults with the opportunity to fit in their daily exercise while the kids wear off some energy and have some fun on the playground. 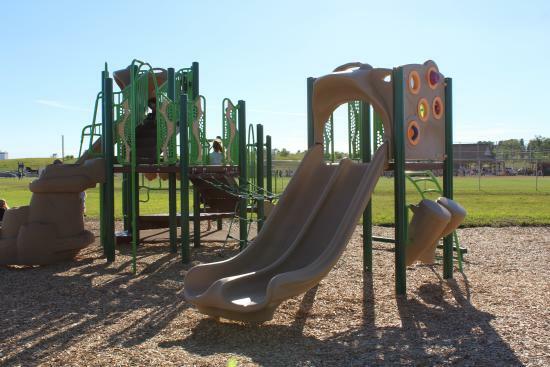 The workout area is very close to the playground, making it easy to keep an eye on your kids. It’s great for families to be able to check two things off their “To Do List” at the same time. Families can also enjoy a walk along the river, exploring nature or watching ducks (or people) float down the river. A drinking fountain is located right next to the playground, but keep in mind, the bathrooms are a short walk away. Great For: Kids of all ages and parents! 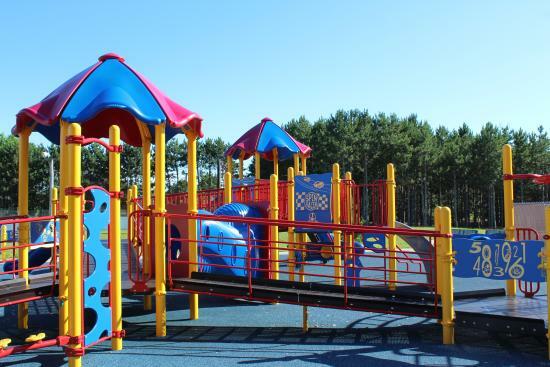 There is not a designated toddler area, but there is playground equipment that is meant for younger children, and that small toddlers would be able to enjoy with the help of a parent. Located on the north side Jeffers Road, across North Crossing, Eau Claire’s newest playground is being constructed as part of the Jeffers Park Development collaboration; providing the first joint boy and girl playing fields (baseball and softball). They developed a neat playground for older kids, and a separate, fenced in toddler playground. Great For: Kids of all ages! 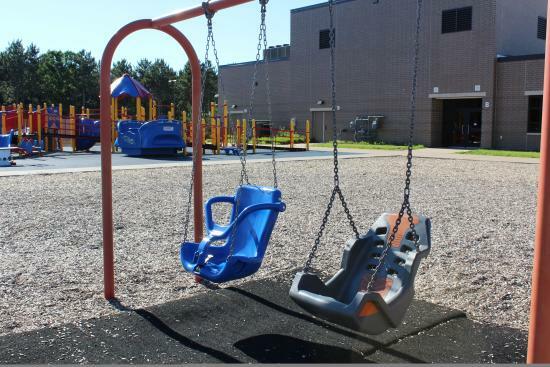 This playground, similar to Putnam Elementary, has newer equipment that is handicap accessible. Another pro is that the entire playground is fenced in, so you don’t have to worry about your kiddos running out into traffic. Mt. Simon’s upper playground is handicap accessible, and it has multiple slides for kids of all sizes. Oh, and did I mention the sand pit!? Boyd is a great playground if you have small toddlers because it has separate equipment designed for your wobbly little ones. With a walking path that heads toward the bridge and crosses the river, you can explore nature while enjoying this playground as well. So this summer, when those little ones need to take some energy, remember these awesome options, and don&apos;t forget to use the #CaptureEC on your fun family adventures and you might get featured on our Instagram page!